The Vatican announced today that Pope Benedict has accepted the resignation of Bishop Timothy Joseph Carroll SMA as Vicar Apostolic of Kontagora, Nigeria, in accordance with canon 401, para. 2 of the Code of Canon Law. Bishop Tim has worked in the Kwara and Niger States area of Nigeria since ordination in 1965. Thirty years later he was appointed Prefect Apostolic of the newly-erected Kontagora Prefecture. 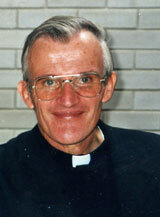 In 2002 he was appointed Vicar Apostolic of Kontagora and ordained a Bishop on 17 August 2002 in Kontagora. Kontagora was carved out of three existing dioceses: Ilorin, Minna and Sokoto. A noted linguist Bishop Tim translated several books of the Bible, including the Synoptic Gospels, into Kamberi. These are now in use by many denominations throughout the area. Kontagora Vicariate covers about 46,000 sq kms with an estimated population of 1.6 million drawn mainly from the following ethnic groups: Kamberi, Dakakari, Dukawa, Kamuku, Gungawa, Hausa and Fulani. The first SMA missionaries came to the area in 1937 settling first at Masugu and Zuru. To help him in caring for this vast area Bishop Tim has 11 SMA priests (from Ireland, India and several African countries) as well as diocesan priests and Kiltegan missionaries. Fr Dan McCauley, from Strabane, Co Tyrone, is his Vicar General. There are sixteen parishes with hundreds of outstations in the Vicariate. OLA Sisters also minister in the diocese looking after Primary Health Care in Kwimo and Papiri. Conscious that the best evangelization is from within Bishop Tim and his collaborators devote a lot of attention to providing Adult Literacy programmes and training Lay Leaders. There is a Training Centre at Masuga fror Lay Leaders and Catechists. A number of priests have ‘well-digging’ teams to go around the villages to provide clean water for the people. Kontagora has not been immune from inter-ethnic conflict and in 2006 a serious outbreak of violence saw extensive damage to church properties. Sadly, one of the Church Leaders, Joseph Ibrahim, was killed in the violence. RIP.